Meditation and Yoga Benefits by Nancy Weshkoff | Moonflower Yoga Inc. I was watching a morning news show program recently, and I was so happy to see an uplifting story about an inner-city school program. In this school program for elementary school children, the children were taught meditation and yoga as a healthy way of coping with stress. If a child had an anger issue with another student or teacher, the child was sent to a meditation area and would meditate quietly for several months. The children also began their day with several minutes of simple yoga postures and breathing techniques setting a positive intention for the day. The results were excellent. The children learned positive ways of coping with life’s stresses. They reported feeling peaceful and calm. And a disciplinary trip to the principal’s office was no longer needed as there were no longer student infractions as previously. These children learned skill sets that can be used throughout their life, which is terrific. These de-stressing techniques of yoga and meditation are fabulous for people of all ages! 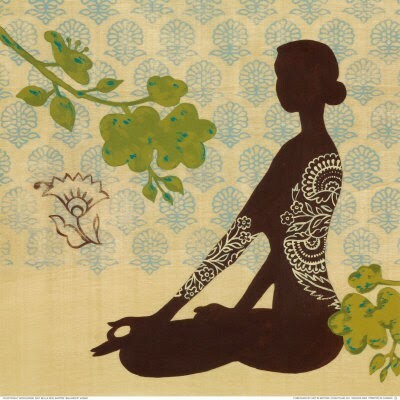 In the great yoga classes that we offer at Moonflower Yoga, we teach you to link your breath with movement. So many times during the day, especially when we are under pressure and stressed, we forget to breathe deeply. Our mind is going in a million directions, thinking about the various deadlines we need to meet, perhaps worrying about a child or an elderly parent, etc. Shallow breathing is not good for our organs. And all that stress leads to disease including heart disease – the number one killer of women in the US. In our meditation classes, our teachers give you some gentle guidance to help your mind relax so that you can learn to be in the present moment and not worry about the “shoulda, coulda, woulda’s” that plague us. Come join us at Moonflower Yoga in Long Island New York’s Nassau County and try one of our great yoga or meditation classes! Like the children mentioned above, you will find a fabulous tool to help you feel better.